The second annual Durban Digital Day, held at the Durban ICC on the 4 November 2014 proved to be an all-round success. The one day “everything digital”- focused conference boasted a wide range of speakers from all over the world. The MJ Media Team definitely enjoyed the overall experience and walked away with little pieces of valuable digital knowledge from each speaker. 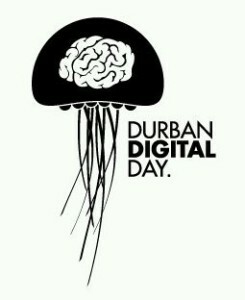 As diverse as the topics covered by the speakers at the Durban Digital Day were…there did seem to be one overall theme, “human behaviour” – no matter which part of the Digital world we work in, we learnt that we need to become more aware of human behaviour in order to understand what it is that the customer or user wants! 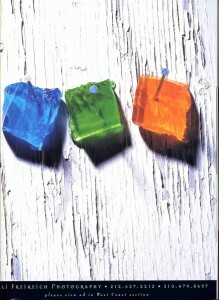 Justin McCarthy from TBWA (follow him on twitter: @JustinTBWA) did ho wever point out that this would not be an easy feat, he claims that “predicting human behaviour is like nailing jelly to a wall”. Whilst Steve Gardner from DigitLab (@stevegardnersa) showed us how the bigger brands are using human behaviour to create better user experience and therefore more brand awareness and loyalty.He spoke of Starbucks’ “moment mapping” and how tracking the user ten minutes prior to them wanting a coffee and ten minutes after they had had one, helped Starbucks understand customers better. We also learnt that the younger generation is not afraid to use new channels and to express themselves publically, Ross Garland (feature film producer of the internationally acclaimed film Spud) spoke of why we should learn to “think like a 19 year old (sometimes)”. Both Neil Vose (MD of Quirke Digital Agency) and Garland agreed that collaborating and working together as opposed to ring fencing our ideas would help us all to become more successful. Previously UK based Vose (@neilvose ) also spoke very highly of South Africa and mentioned that the people in Africa are innovators despite the multiple misconceptions of the western community. Craig Rodney (@Craigrodney) MD of Cerebra had a strong voice and message to relay about customers, users and advertisers and the relationship that exists between them. Rodney pointed out that Brands operate in an abusive manner through interruption based models and that we only think something is “cool” due to a learned behaviour – i.e. marketers are telling us something is cool and we believe them! Rodney has made a stance against this thought process by selling his car, he uses Uber to get from A to B and claims that it is much more affordable than owning a car. He went on to show us how someone who bought into this “cool concept” was left feeling very unhappy (images of an angry Lamborghini customer: http://www.odditycentral.com/news/lamborghini-gallardo-owner-smashes-his-own-car-in-protest-of-poor-service.html ). Eric Edelstein, Tech Founder and internationally successful entrepreneur (@EricEdelstein) spoke about a different kind of relationship. During his talk on Entrepreneurship, he touched on how start-ups don’t know where to find the money to start their business or launch their ideas and investors don’t know where to find the people with the good ideas! The blogging panel, later went on to argue the many aspects of blogging…content versus relevancy as well as making a name for yourself as a blogger/publisher and brand were discussed at length. Professionalism in the blogging world and being able to show your personality through the screen were also touched on by the group. Overall, we had an interesting, inspirational and entertaining day and look forward to attending the Digi-dedicated day again in 2015!